Select the “BROWSE THE COLLECTION” tab at the top of the page to search for cookbooks alphabetically, by date and by interest. Select the “SEARCH THE COLLECTION” tab to search for recipes by name. Find a primary source Book Image Display of the 1867 cookbook, “Hand-book of Practical Cookery”. “Food Day is a nationwide celebration and a movement for healthy, affordable, and sustainable food.” Check out this website for events, stores, recipes, and videos related to Food Day. Also be sure to select the “Resources” tab for curriculum and lesson plans to help our youth “eat real”. This site features a large scope of food history offering a wealth of information, primary documents, and original research. Click on the different links at the top of the page to learn about American food specific to a region, era, or ethnicity and how those foods evolved. Be sure to select “FOOD TIMELINE” at the top of the page to discover a food history timeline dating back to 17,000BC! This article names the top ten American foods that helped shape our nation. From New England Clam Chowder to Louisiana Po-Boys to Chicago Hot Dogs, read about these great American eats! “From the farm to the dinner table, explore the records of the National Archives that trace the Government’s effect on what Americans eat.” This is an excellent resource only available for a short amount of time. Select the “PREVIEW” tab for historical information and primary documents specifically related to the farm, factory, kitchen and table. Learn about “Liberty Bread” and Herbert Hoover’s efforts to urge Americans to conserve food during WWI. In honor of the What’s Cooking, Uncle Sam? exhibit, the National Archives have posted their Top Ten Food Records. Scroll down to find my personal favorite, “Vitamin Donuts”! “Locavores are people who pay attention to where their food comes from and commit to eating local food as much as possible. The great thing about eating local is that it's not an all-or-nothing venture. Any small step you take helps the environment, protects your family's health and supports small farmers in your area.” Read this article to find 10 ways to become a Lacovore! "Tipping Point author Malcolm Gladwell gets inside the food industry's pursuit of the perfect spaghetti sauce -- and makes a larger argument about the nature of choice and happiness." Scroll through this series of stories and articles throughout U.S. History to learn about what Americans ate and how those cuisines have shaped our American culture today. Browse this online collection of information about the history of breweries and the brewing industry in America. Be sure to check out this month’s featured article, “We Want Beer: Prohibition And The Will To Impede – Part 1.” By Carl Miller. Read George Washington’s recipe for “Small Beer”. Check out this interactive timeline to learn about the history and heritage of America’s favorite drink, Coca-Cola! Here you will find an annotated version of the Eighteenth Amendment, which began prohibition of intoxicating liquors. Have a question about where popular beverages came from? How about chocolate milk, smoothies, or root beer? Click through the links on this site to learn the history behind these beverages and much more! Read this 1935 document urging the Senate to remove beer from Prohibition Laws. Read this short blog post about some interesting uses of wine throughout history, like for pilots to calm their nerves and keep them alert during flight. The history of coffee is chronicled on this site. From the legend of its Ethiopian origins circa 800A.D. to Brazil, the country that grows a third of the world’s supply, coffee has become an everyday necessity around the world. Sort by topic to find 3 pages of a letter to Governor Ford by Charles Whitlaw, claiming to provide lectures on agriculture, featuring the unknown cause of “Milksickness”. Click here to find Beecham’s Pills and Horlick's Malted Milk influenza medicine ads from 1919. Click here for several local primary source documents on hospitals and medicine throughout different historical eras. Originally published in 1604, then reprinted in the Workes of King James of 1616, this primary source text warns against the “vile customs of Tobacco”. Tobacco is one of the most widely used addictive substances in the world and is a plant native to the Americas. Learn more about the history of this valuable and important crop and its influence on American culture. In collaboration with NPR, this is a special Frontline series on the 30-year history of America’s war on drugs. Here you will find detailed information about the drug busters, buyers, and businesses that all play a part in this important history. Be sure to explore the site for first hand interviews, teacher resources, and related research. Schmoop is an excellent resource for your classroom as it makes information engaging and relevant to your students! Here, you will find a wealth of information, including a timeline, facts, and photos all related to the history of Drugs in America. But more importantly, the site provides evidence as to why this is important for your students to learn. 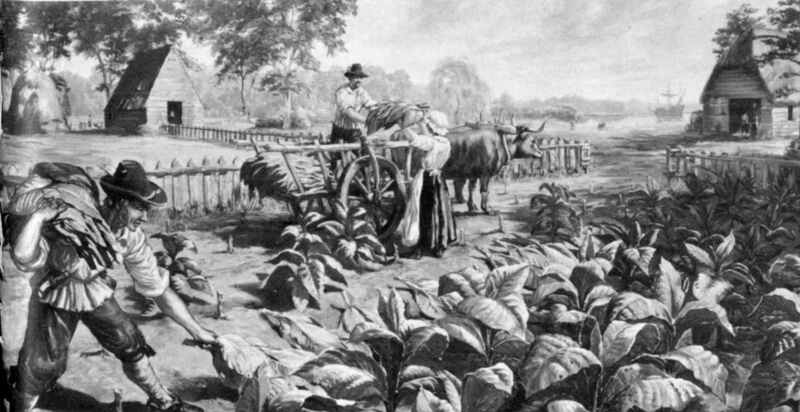 This is a wonderful article on the history of tobacco and its global influence, especially on the world economy.